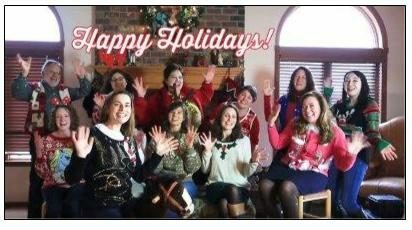 Do you and your team have the style, swagger and seasonal spirit to rock an ugly sweater? Will last year’s champs, the NMC Foundation, win the coveted trophy, and the bragging rights again this year? There’s only one one way to find out! Send the best of your worst to publicrelations@nmc.edu by 5 p.m. Thursday, December 13. Still photos only, no video submissions please. The winning team will be decided via applause-o-meter at the NMC Employee holiday party December 14 at NMC’s Great Lakes Campus. Good luck and may the odds be ever in your favor!